Working with the Royal College of Surgeons in Ireland and Impact Research International, this programme has a strong research component since the outset. In that way, it is an operational research programme, consistently collecting data, analyzing findings and feeding into ongoing programme design. The research focused on aspects of understanding core self-stigma beliefs (formative research) and measuring the impact of the intervention. Through the research process, the programme is now moving to use and test new measurement scales such as the Ryff scale that better express and capture the effects of such an intervention on self-worth and autonomy. We intend to publish our findings on measurement as well as impact in the future. The research has been published and presented in a number of ways to date as can be see from resources section. In 2013, in Harare, Zimbabwe, Trócaire in partnership with ZNNP+ developed, implemented and evaluated Phase I, a 12-week pilot program using Inquiry Based Stress Reduction (IBSR), a technique also known as The Work of Byron Katie. Based on formative research, the curriculum was designed to support participants to work through self-stigmatizing beliefs, specifically those centering around self-abasement, shame, guilt, disclosure, restricted agency, hopelessness, sexuality and death. Figure 1 Framework for qualitative analysis of interview data. Three main areas of analysis are shown: Categories of core beliefs (A, red), Functions of self-stigma (B, magenta) and Coping strategies (C, blue). Emergent themes were organised into categories (solid boxes), and subcategories where required (open boxes). A pair of local facilitators from ZNNP+ worked with internationally Certified Facilitators to deliver this program to two groups of 11 participants each. ​Qualitative and quantitative data was collected at baseline, post-program and three months after the program completed. The Internalized-AIDS Stigma Scale and the Quality of Life scale, measuring mood, perceived stress and quality of life were used. For evaluation purposes, this program was designed as an operations research study with the support of Royal College of Surgeons in Ireland. Ethics approval was secured from the Medical Research Council of Zimbabwe with a local research institution Impact Research International, as principle investigator. Data from the three month follow-up shows very positive results. Qualitatively, participants report being able to live more positively with HIV, experiencing lessened fears about disclosure, feeling they are not limited by their HIV status, and experiencing more peacefulness. Quantitatively, results show statistically significant improvements in a number of areas (see above). Phase III took place from September-November 2015. 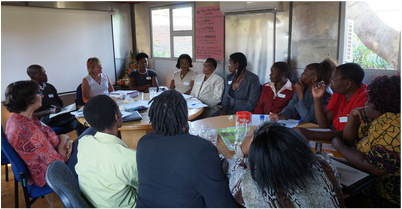 The facilitators-in-training were supported by International Facilitators to deliver the 12-week self-stigma and HIV course to a new group of 20 participants. 10 facilitators-in-training completed all three phases and are now qualified 'Certified Facilitators of IBSR: The Work in HIV'. 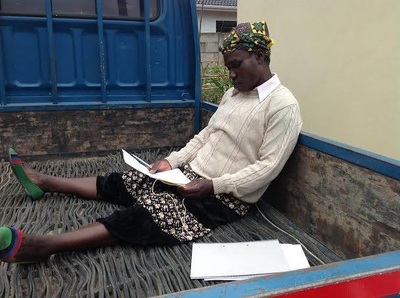 With Phase III complete, there are plans to expand the program within prisons and within the community-based support system for people living with HIV in Harare. Plans for the long-term future include rolling out the programme throughout Zimbabwe and acting as a resource for other Southern and Eastern African countries who are interested in developing their own program.